California has already lost its distinction as the nation's seismic hotspot. Recently Oklahoma unseated the Golden State as Earthquake Central -- but it won on a technicality. Oklahoma, a place where natural quakes are rare, is plagued by artificial earthquakes caused by oilfield activities. 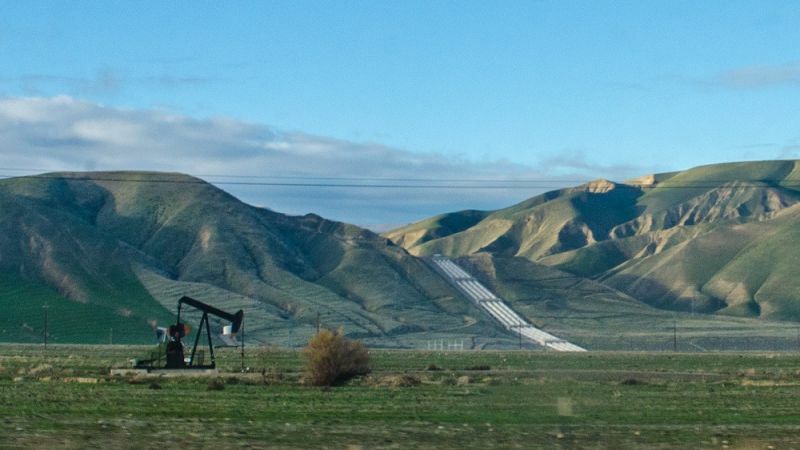 Now research suggests that California, once thought to be free of this kind of "frackquake," has been having them for years. Oklahoma literally has hundreds of earthquakes each year, large enough to feel, triggered by pumping oilfield wastewater into deep disposal wells. Last week a damaging magnitude 5.1 shaker near Fairview was the third-largest earthquake in Oklahoma's history. Everyone assumes it was a triggered quake, and state regulators have ordered disposal well operators to cut back. 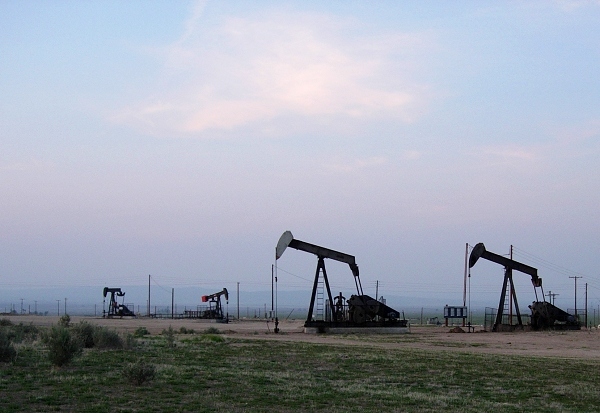 California is a huge oil-producing state with as many deep disposal wells as Oklahoma. Why aren't we having the same problems? UC Santa Cruz researcher Thomas Goebel suggests that, in fact, we do have induced earthquakes here. His latest paper, in the journal Geophysical Research Letters, is a detailed study of an earthquake swarm that occurred beneath the Tejon Oil Field south of Bakersfield on September 22, 2005. 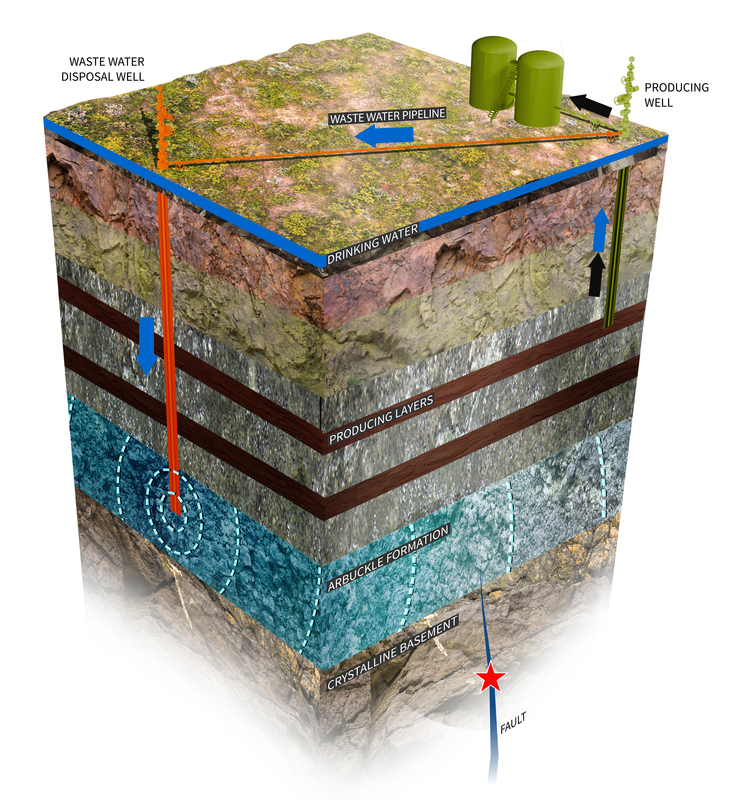 Disposal wells pump waste fluids -- salty water from oil reservoirs, mostly -- into deeply buried beds of rock that have lots of pore space. Most of these thousands of wells cause no problems. Think of a group of people boarding a train car that's already full of passengers -- they cause a "pressure wave" that pushes people back down the aisles until everyone has a place. If there's a pile of luggage in the way, tempers might start to flare. We know all this because Oklahoma is in a part of the country that historically has been pretty quiet, seismically speaking, so quake data is less likely to be muddled by natural events. Evidence from its booming oil industry, involving thousands of earthquakes and about 10,000 disposal wells, has shown scientists how induced earthquakes work. In quake-rich California nobody pays much attention to an extra shock or two. But last year, when Goebel ran some statistical tests on the earthquake record here, he found several earthquake clusters that coincided with high-volume wastewater pumping. The odds that these coincidences were random were less than 1 in 25. Goebel zeroed in on the so-called Mettler earthquake cluster of September 2005, which produced three shocks larger than magnitude 4. The cluster was very close to the White Wolf fault, which was responsible for one of California's largest earthquakes on July 21, 1952. Five months earlier, a big new disposal well had opened up in the Tejon Oil Field about five miles away. Gathering more evidence from newly refined earthquake catalogs and well injection data kept by the state, Goebel traced the effect of the new well in the months before the swarm. During that time a trail of small quakes led from the well toward the White Wolf fault, along the trace of another small fault named the Tejon fault. When the quake activity reached the White Wolf fault, the Mettler cluster occurred, including three shocks between magnitude 4.3 and 4.6. After the swarm, Goebel saw seismic activity continue on the Tejon fault as more pumping went on. Goebel's next step was to gather the best information he could find on the rock layers in the area, then run a computer simulation of how wastewater injection would behave in them. The results were a decent match to the record: the pumping would raise the underground pressure by about 1.5 pounds per square inch, enough to push a fault to failure, and the timing was right too. This was cutting-edge scientific work that relied on excellent seismic records, an area with well-known geology, and earthquakes of appreciable size. Goebel concludes that earthquakes caused by wastewater injection probably have a "marginal" effect in California. "However, considering the numerous active faults in California," he adds, "the seismogenic consequences of even a few induced cases can be devastating."